According to a recent Oxford Economics Study, given a choice of perks, employees’ first choice was a quiet office environment where they could focus on their work. This ranked higher than any other benefit, including free meals at the office and even onsite daycare. While enjoying the unrestricted work environment brought about by the open concept plan, moments of quiet concentration are more important than ever for employees. Loop Phone Booths provide that balance, so that even the most sociable among us can take a confidential phone call, conduct a private video conference, or take a minute to quietly collect our thoughts. 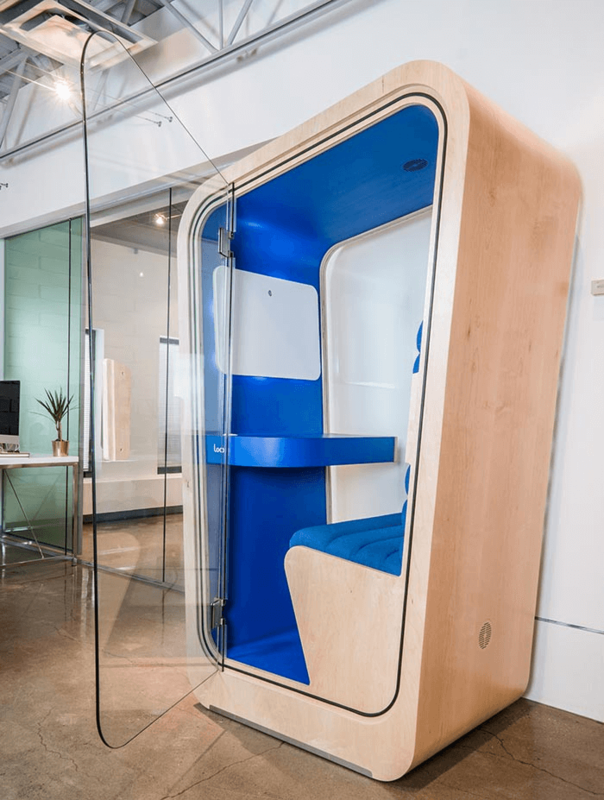 These customizable booths allow you to give your employees the quiet spots they need to focus on detailed tasks uninterrupted, without compromising your open concept aesthetic. It may sound counterintuitive, but when employees feel that they can be loud in a dedicated space, they tend to quiet down elsewhere in the office. The feeling that there are different venues for different noise levels helps keep things in the mainstream part of the workspace reasonably tolerable. Ideally, such loud zones – like kitchen messes, cafeterias, and break rooms – must also be acoustically isolated from the quieter work areas. You may also want to introduce some office rules, depicted in easy humorous signs around the place, urging employees to restrain noise levels within the main workspaces and directing them to the “dedicated noisy spots” where they can take most of their conversations. Carpeting controls noises such as pedestrian footfalls inside the office. Additionally, if you want your floors to control noise from unwanted office conversations, you may even add an additional mass element under the carpet to absorb sound. To add mass, you can use heavy, resilient padding materials, such as shredded rubber mats, hard foam panels, or a cork subflooring material. If the carpet is installed on top of a heavy concrete floor, then there is sufficient mass already. Alternatively, If you want the look of hardwood or tile, but want to keep the noise down, you can install so-called engineered floating floors. As the name suggests, floating floors simply lay on top of the floor structure underneath without using fasteners, which can transmit sounds. Another option is vinyl flooring, considered a versatile alternative that is easy to maintain. Not only are they an aesthetic point in the office, plants are good Feng Shui, and actually form very effective sound barriers. Imagine if you had a “living wall” partition between discrete departmental areas; just tall enough to absorb excessive noise, but not too overwhelming as to marr the flow of your open lay out. Moreover, according to this NASA report, plants can improve the indoor air quality, provided you pick a species that can thrive within the confines of an indoor setting. Of course, they also help people feel generally more calm and relaxed. 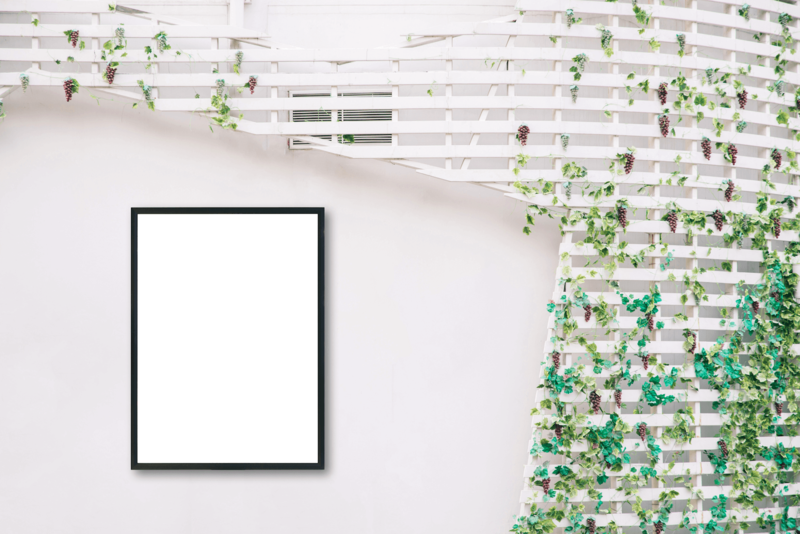 Masking uncontrolled noise levels with a low-key background one of your own choosing may sound strange, but the effect is such that the controlled din – say that of a waterfall – mutes other sharper sound frequencies around the office. This website, called Coffitivity, offers soundscapes of several “coffee shop” or “bistro” settings which provide this kind of background masking. Segregate the louder from the quieter groups – keep the quiet accountants away from the louder production and sales teams so everyone is able to perform according to the needs of their job. Live up to your modern open concept layout and upgrade to a Loop Phone Booths now!